While vacationing, you may have encountered booths and vending stalls promoting "Henna Tattoos". Henna is a common sight since its popularity boom in the late 1990's, and since that time, it has become a feature in the burgeoning body art culture today. Generally safe, temporary, and carrying with it the exotic feel of the Near East, henna body art can be a wonderful way to adorn your skin without the commitment of ink tattooing. However, not all henna is created equal. Rampant in vacation destinations around the world is a very dangerous form of henna that masquerades as the safe, herbal product. It is called "Black Henna", or, henna paste that has been adulterated with the industrial black dye known as PPD (paraphenalinediamine). PPD is used by the clothing industry and the cosmetic industry in commercial hair dye. It has been deemed unsafe to use on skin by the FDA due to its high rate of allergic reaction and when used as body art can send you to the emergency room with complications that can affect you for the rest of your life. Henna is shrub which grows in the desert regions of Africa, the Middle East, and India. The leaves of this plant contain a powerful staining molecule called lawsone. This naturally occurring dye binds with the keratin in skin and hair, creating a reddish brown stain that has been used for centuries for beautification. The staining process begins with the application of a paste made from the powdered plant, lemon juice, specific essential oils, and sugar. This paste is applied to skin, allowed to remain for several hours as the plant's dye penetrates the top layers of skin. The dried paste is then removed to reveal an orange stain. This orange stain will darken over the next 2 to 4 days as the lawsone molecules oxidize from contact with oxygen... just as a sliced apple turns from white to brown if left in the open air. If high quality henna is used and proper aftercare is followed, a henna stain should last approximately 2 weeks, depending on where on the body the henna is applied. While a henna stain is technically permanent, your skin is not. As your skin naturally exfoliates, it takes the stain with it, which is why henna is considered a temporary body art. 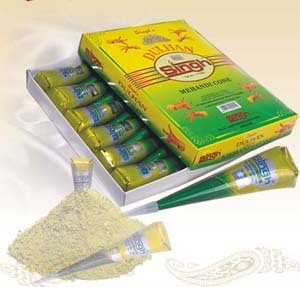 Safe, natural henna appears as a smooth, greenish brown paste. Natural henna stains range in color from orange to dark reddish brown over the span of 2 to 4 days. Generally speaking, yes. Allergic reactions to natural henna are extremely rare. Henna plant material contains naphthalene, also found in mothballs, aspirin and fava beans. People who are allergic to naphthalene should not be exposed to henna. Also, children under 6 years of age who have had severe jaundice or people with seriously compromised liver function should not have henna applied to their skin. More often, the reactions are limited to people who are sensitive to the other ingredients in henna paste, including folks who are allergic to citrus or essential oils. Again, these instances are very rare and a professional henna artist should always ask about allergies before applying the paste. Unfortunately, not all henna artists are concerned or knowledgeable about these health and safety issues, so it is up to the consumer to be on guard and well informed. Until recently, the use of PPD adulterated henna was limited mainly to henna's countries of origin. It has now found a particular niche among local favorite vacation spots such as Californian/Hawaiian beaches, Mexico, and Las Vegas (at my last count, ALL henna booths on The Strip and on Fremont Street use "black henna"). The reason for its popularity rise is due to the quick and easy stain that the chemical dye produces. While natural henna takes time and care to achieve the best results, PPD stains skin from dark red/brown to black almost immediately and with no care at all. This makes it appealing for beach-goers and tourists on a time schedule. "Black henna" paste often appears as a goopy, shiny black paint. This image shows an old "black henna" stain. My client received this in Mexico and as you can see, it resulted in an allergic reaction. PPD is a very caustic chemical. It is also a sensitizer, meaning that you may be exposed to it several times with no harmful side effects, and then, WHAMMO! The resulting allergic reaction can be limited to skin eruptions such as dermatitis (hives) or painful, oozing blisters which tend to scar. Allergic reactions can also be systemic, resulting in organ failure. In both cases, the allergy to PPD is lifelong and not only limited to "black henna", but exposure to commercial hair dye and even the dyes used in clothing. Children are especially at risk. Henna is viewed as a safe and acceptable alternative to tattooing for youngsters and parents often unknowingly allow their children to get PPD body art while on vacation because they didn't realize there was a difference between natural and "black" henna. Sensitization to PPD usually takes a few days before the allergic reaction is evident. "Black henna" artists capitalize on this because you are usually well on your way home (and out of their legal jurisdiction) when the symptoms appear. They have your money and you (or worse, your child) have a medical condition that can last a lifetime. Huge, weeping blisters and scars are the sad result of what should have been a happy occasion. Are their fingers stained with what looks like black shoe polish? Are they wearing their own work? If they know it's bad, they won't put it on themselves... but will happily put it on you! Do they look clean and professional? Most PPD booths employ young, non-artistic people or those who are desperate for cash and look as such. Does the paste look more like chunky, black paint than smooth, greenish-brown pudding? Does the henna paste smell bad? Does the artist add odd ingredients, like hydrogen peroxide, at the last minute? Does the artist give little or no information or instruction? 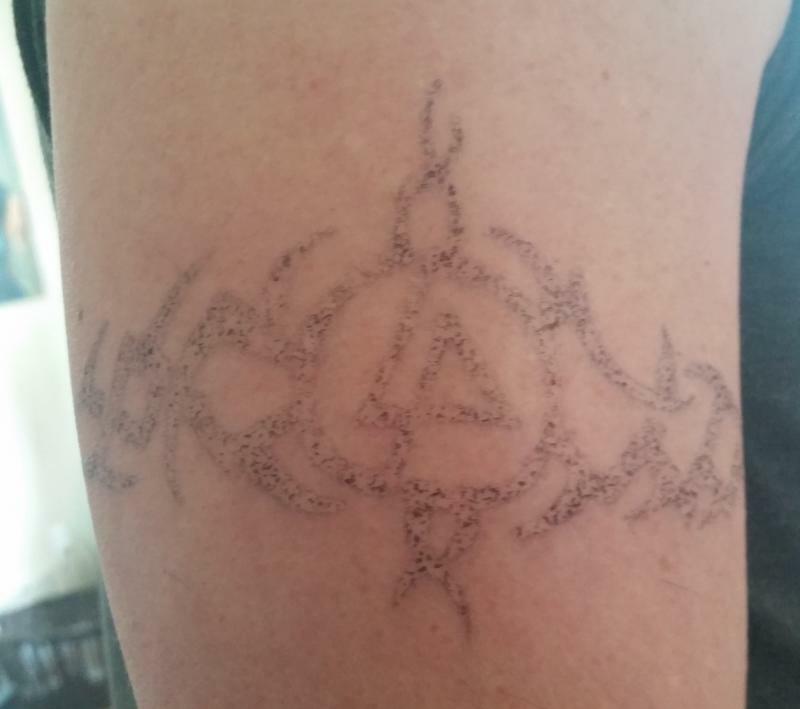 Does the artist claim the stain will be dark/black quickly and/or last for more than 3 weeks? It is very, very difficult to make PPD "black henna" look nice. The resulting artwork is usually blotchy and uneven and the lines the artist draws are thick and unappealing. Often, they will apply a stencil and simply smear the offensive goop over the top, peel off the stencil, and send their customer away without another word. *What's in it and where did it come from? Ask where the artist obtained the henna. If it came as paste from a store, walk away. If the application tool looks like a small tube of toothpaste, walk away. If the artist can't or won't tell you the ingredients in the henna paste, walk away. If you notice that the artist keeps their supply of henna tubes/applicators outside at ambient temperature, walk away. *Is the henna booth located near the beach or a pool? Water and henna don't mix. The cardinal rule for a good henna stain is to keep it dry for a full day. PPD does not need to be kept dry, so many "black henna" operations are located on the beach or poolside and give no stipulations against swimming. *Don't be fooled by "tradition". 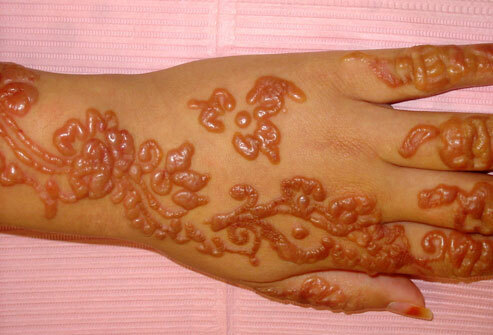 Sadly, many PPD horror stories originate from countries where henna is part of the culture. India, Morocco, Egypt, and the Arabian Peninsula are rife with PPD artists who target tourists. 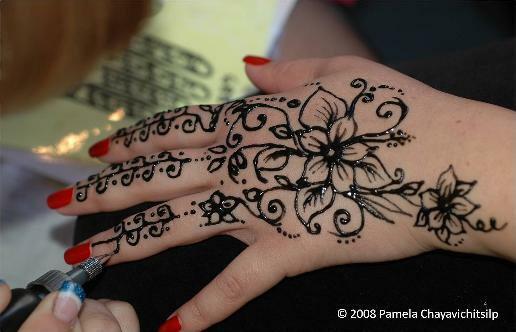 Many tourism packages include "henna" during certain festivities, which is often PPD. After hearing so many bad experiences over the years, I now advise my clients to avoid henna while out of the country. Period. It is simply the very best way to stay safe. 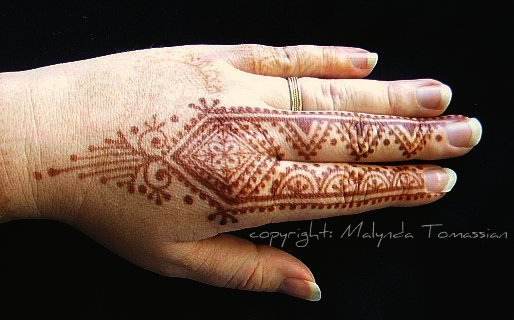 There are many artists here in the States who are originally from henna cultures and who use "black henna" on themselves and others. "Black henna" is not "traditional". It's use has only been around for a single generation. The bottom line: If you suspect it is unsafe, do not let fear of offending the artist or their culture keep you from protecting yourself or your loved ones from the harmful effects of PPD. Is "Black Henna" found in Utah? Yes, but thankfully, it is rare. It is most often used in the Somali and Sudanese communities and not widely presented to the public. We are blessed to live in a state with vigilant health department inspectors who are taught to recognize and shut down PPD artists who try to open up shop at local fairs and festivals if they encounter them. Some do manage to slip by, so an informed populace is the best defense. Pre-mixed henna paste found in ethnic markets are full of unsafe chemicals, including PPD. The most common henna-related threat here in Utah are the pre-mixed henna pastes found in ethnic markets. While not all contain PPD, every single one of them contain chemicals which are unsafe to use on skin, including benzene, kerosene, metal salts, toxic amounts of lead and artificial dyes. Natural henna dye demises within one week if the paste is not frozen, therefore, any paste that is found on the shelf of a store will rely on harmful chemicals to achieve a stain on skin. "Make Your Own Henna" kits purchased from shops are also a source of frustration. Usually, the quality of the henna powder is poor and the results are disappointing since henna powder must be stored at cool/cold temperatures in order to preserve dye potency. Most store-bought kits contain ingredients which aren't safe for skin, including chemically adulterated essential oils commonly labeled as "henna oil" or "mahalabiya oil". A good method to test a henna kit is to smell the box. If it smells like a citronella "mosquito" candle, put it back. Citronella oil is photo-toxic, which can break you out in a rash if you wear your henna out in the sun. The best way to buy good henna is to purchase products from reputable suppliers here in the United States who are able to deliver fresh henna quickly, have written statements about how they store their henna and who give full ingredient disclosure. Copyright 2009 Mountain Mehndi. All rights reserved.